Our extensive experience in the Industrial sector has involved us being involved in new builds of industrial properties. We have heavily invested in high-end 2d and 3d software to assist in the design of steel and concrete frames including specialist design of Portal frames. 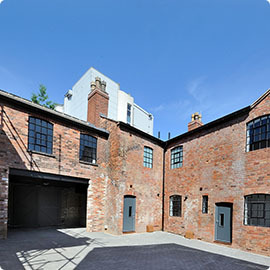 We have further experience in of refurbishing and altering existing industrial structures too. We also support a small number of flooring contractors, offering indemnified design of industrial floor slabs, and technical backup. We have successfully been involved in over one million square feet of flooring laid over the last few years and we continue to help slab contractors win work in this highly competitive market by constantly improving our design expertise and understanding. We also can guide building owners and developers on specifying slabs to suit their needs.